This information is provided by Kim D. Strohmeier in Owenton, KY. Thanks Kim! 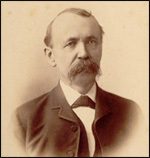 note: Father: Franz Erdel Mother: ? 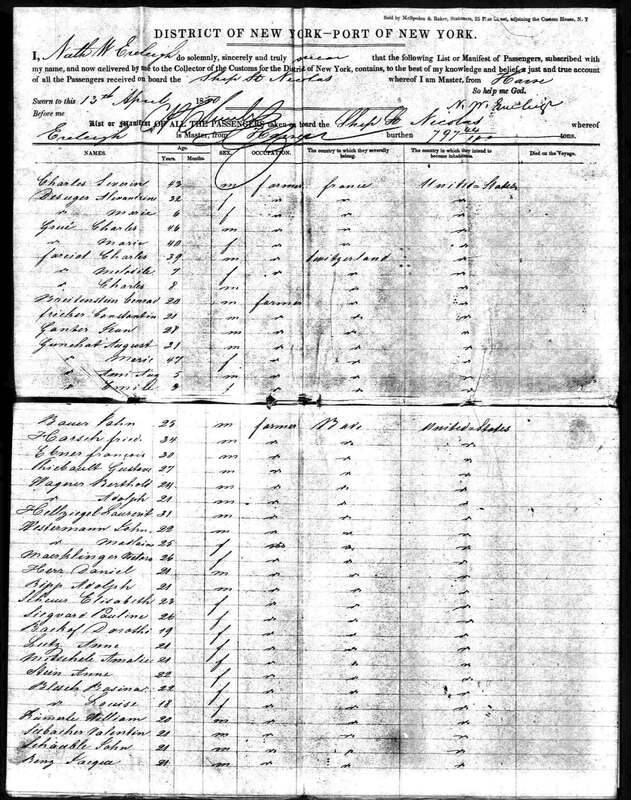 Immigration: December 26, 1854 To New York from Bremen, Germany on the ship "Alfred," destination- Minnesota. From Grottkau. Traveling companions- father(?) Franz, age 45, siblings- Franz- age 19, Pauline- 18, Robert- 15, Louise-13, Wilhelm- 10, and Julius- age 4.
note: Father: Franz Erdel Mother: ? 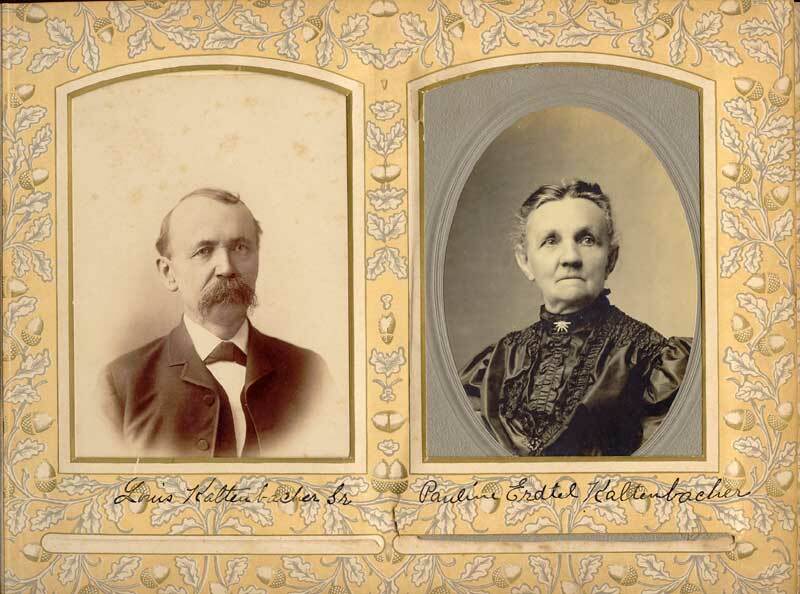 m: December 26, 1857 in Evansville, Vanderburg Co, Indiana Immigration: December 26, 1854 To New York from Bremen, Germany on the ship "Alfred," destination- Minnesota. From Grottkau. note: Occupation 1: Bet. 1885 - 1895 Louisville's "first nurse." 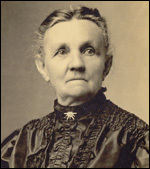 It's been said she was the first and only nurse in Louisville at that time. There was no school for nurses and she was trained by two doctors. Occupation 2: nurse for Dr. Octerlony Occupation 3: June 1880 Bartender Religion: Catholic late in life Residence 1: 1913 1938 Deerwood Ave., Louisville Residence 2: June 1880 Seventh Street, Louisville Residence 3: 1885 345 E. Market, Louisville, KY Residence 4: June 1900 1508(?) W. Chesnut St., last house before 15th Street Residence 5: January 1920 Lived with daughter on Sherwood Ave. in Louisville Residence 6: April 1930 Lived with daughter on Woodbourne Ave. in Louisville Residence 7: 1956 2402 Woodburne Ave., Louisville. 1marriage: Katie ? m: August 10, 1887 Divorce 1: June 17, 1889 in Divorce granted in Jefferson Chanery Ct., due to "cruel and inhumane treatment." Louis admitted to hitting and abusing her. Divorce 2: in Restaining order issued keeping Louis from katies residence, she accused him of "threatening to take her life if she continued [divorce] suit," was "violent and abrasive in language." Witness said he had a gun and threatened to shoot her. 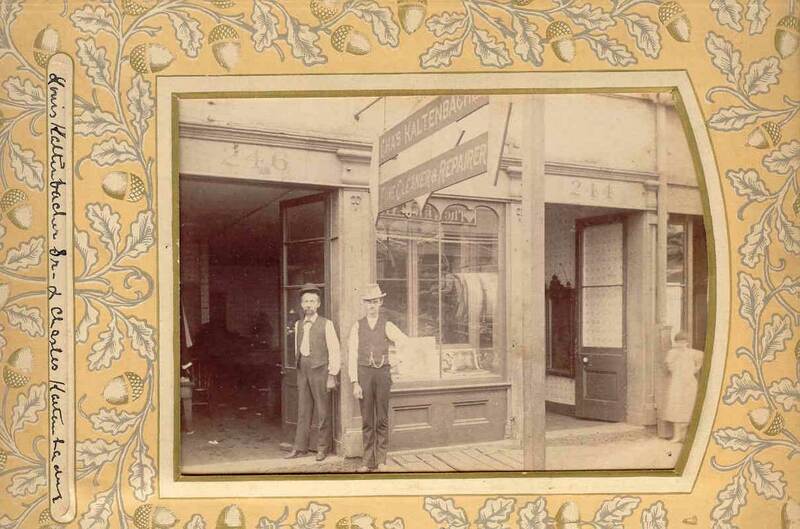 note: Occupation 1: 1886 Tailor at 244 3rd Street, Louisville Occupation 2: Bet. 1899 - 1920 Tailor Residence 1: December 20, 1926 834 E. Main St., Louisville Residence 2: 1900 2333 Franklin Ave, St Louis, MO (rented home) Residence 3: April 1910 Dennison, TX (owned home) Residence 4: 1913 Kansas City, Mo Residence 5: January 1930 rented apartment house with 3 others. Comment 2: 1918 Had three sons in military service at same time.